According to information the group obtained, the record concerns a call placed at 12:43 p.m. on July 20, 2012, originating from the Loop Health Center Planned Parenthood, located at 18 S. Michigan Avenue in Chicago. The Planned Parenthood office occupies the entire sixth floor of the Gage Building. The dispatcher is heard on the recording confirming that the caller’s office is on the sixth floor and no other medical offices exist in that building. 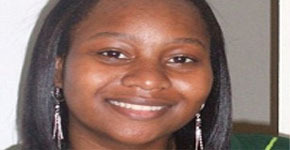 Tonya Reaves received her fatal abortion at 11:00 a.m. on July 20. As Reaves lay hemorrhaging, an employee called to report that elsewhere in the clinic a 16-year old patient was “physically assaulted” by her mother. During that call, the Planned Parenthood caller indicated that the staff had to pull the two apart after they witnessed the mother kick and hair-pull her daughter and threaten her with further harm once her father arrived. Dispatcher: Okay, and once you called – you see, next time you need a police car to come out for any reason whatsoever, you need to call 911. Caller: Right. Okay. I just – Dispatcher: That way you don’t waste time with 311. Caller: I know, I know, I just (laugh) I just hate to use services to make, you know – Dispatcher: I know. Well, they don’t dispatch police cars. All they do is transfer you to 911. Caller: Gotcha. Dispatcher: So you’re waiting in that queue and then they flip you over to our office. Caller: Right. Dispatcher: Now I don’t have any of your information. So, what is your telephone number? At 11:00 a.m. on Friday, Reaves received a second-trimester dilation and evacuation (D&E) abortion at Planned Parenthood, located at 18 S. Michigan Ave. in Chicago. Following the abortion, Reaves began bleeding heavily and it continued at Planned Parenthood for five and a half hours before a Fire Department ambulance finally took her to Northwestern Memorial Hospital at 4:30 p.m.